The confusion that has trailed the re-introduction of the post University Tertiary Matriculation Examination (post-UTME) in higher educational institutions across the country over the fees payable by candidates forced me to dig into the legality or otherwise of the test that now determines our children’s educational destiny. There should be an established law for post-UTME otherwise, it should be scrapped. The test has become so controversial and ought to be challenged in court of law. Is there a law that established the post-UTME? I called some lawyers to get their view on the legality of the post-UTME. All the lawyers said, to the best of their knowledge, there is no known law that established the post-UTME in Nigeria. If that is the case, why leave an illegality to rule the system and even truncate the aspirations of most candidates? Who introduced the post-UTME in the first place and for what purpose? While some of the lawyers said it could be a policy of the Federal Ministry of Education, others said it could be a by-law by the same ministry. The discordant tune shows that we are simply groping in darkness, which is why mistakes and blunders are being committed. My investigation shows that the post-UTME was neither a policy nor a by-law by the Ministry of Education. There is no Act of the National Assembly backing it. It was entirely the personal idea of the former Minister of Education, Mrs. Chinwe Obaji. Mrs. Obaji single-handedly and by executive fiat imposed the post-UTME on the tertiary institutions in 2005 under the Obasanjo administration. The Minister imposed post-UTME on Nigeria without consultations whatsoever. If there were observed shortcomings, why didn’t she summon a meeting of education stakeholders – vice-chancellors of universities, rectors of polytechnics and provosts of colleges of education to brainstorm the matter? Why did Obaji take unilateral decision on something that is as crucial and important as education? The fact that the post-UTME has no legal basis explains why any minister could scrap or re-introduce it at will without minding the damage on the system. Twelve years after toying with Nigeria’s future, the Minister of Education, Adamu Adamu, the other day, in Abuja, after the 2017 Combined Policy Meeting on Admissions into Tertiary Institutions, announced the lifting of the ban on the test that he personally scrapped in June last year (2016). 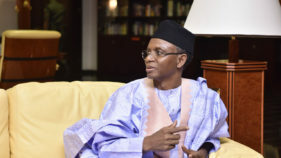 Adamu acknowledged making a mistake by scrapping the controversial test, adding that government wanted to fully understand what was going on in the institutions. He urged the institutions to make the fees for the post-UTME screening affordable and not to impose huge financial burden on parents. The minister actually pegged the fee at N2000. This, exactly, is the crux of the matter. 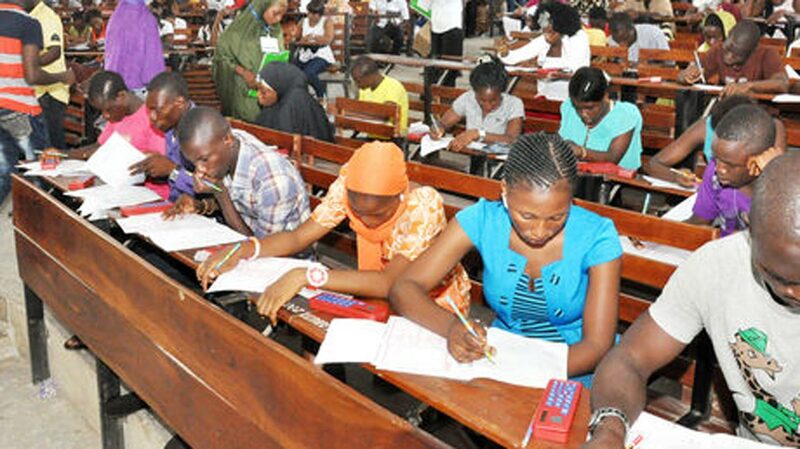 Reports indicate that various institutions across the country jumped at the un-banning of the post-UTME test. To maximize their income, they are charging fees ranging from N2000 to N7, 000 or more. This belated directive from Adamu, coming after most of the institutions have nearly completed their admission process, has thrown up confusion. Ad-hoc arrangements are being made on logistics to put an emergency test together. Adverts are being placed in the media announcing schedules for post-UTME. Unfortunately, the Academic Staff Union of Universities (ASUU) is on strike. Who then will conduct the test? Besides, most candidates live in the rural areas. There is no guarantee that they would get information on their prospective institution’s post-UTME test date. This is an avoidable confusion. The Act that established each university empowers it to admit candidates based on approved criteria set out by the Senate of the institution. Nigerian universities did not introduce the post-UTME. This test was imposed on the institutions by fiat of a minister. 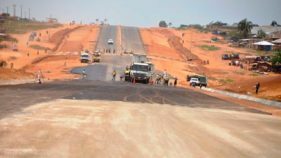 Given the havoc already caused by this test, why don’t the National Assembly (NASS) abolish it? Allowing it to continue would do more harm than good to education in Nigeria. Many students and their parents have been killed on road accidents going to take the test. Some have died in plane crash. Why is Nigeria so insensitive and lawless? 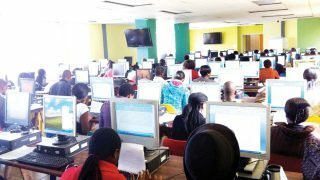 The House of Representatives in 2016 ordered the Federal Ministry of Education and the National Universities Commission (NUC) to ensure the immediate abolition of post-UTME in the nation’s universities. The order was hailed by parents who felt that they were virtually being used as cash cows to be milked by the universities after their wards had scaled the JAMB hurdle. The Act setting up JAMB empowers it to conduct entrance examinations to qualify candidates for entry into the nation’s universities. After JAMB has dispensed this responsibility, introducing another exam, ostensibly, to discredit JAMB, is in bad fate. If the exam conducted by JAMB is untrustworthy, then, all public exams, including WAEC and NECO should be discredited as well since all the exams are conducted under the same environment. Besides, the post-UTME is illegal. You don’t use illegality to judge what is legal. It doesn’t make sense. The House of Representatives stressed that the introduction of post-UTME in universities is subjective, stressful, and exploitative on parents and candidates and therefore an aberration. It noted that the universities conduct post matriculation exams only to raise internally generated revenue (IGR) at the detriment of poor candidates and parents. Furthermore, the House said whatever reasons that existed to justify the introduction of the universities’ organized post unified matriculation examination have been fairly debased by recent happenings where mass leakage of question papers has been severally reported. It added that the universities have not shown enough tardiness in the conduct of the post-UTME. Going by the re-introduction of post-UTME, the House of Representatives order has been ignored and not complied with. Whereas the Ministry of Education has gone ahead to re-introduce the illegal exam, the NUC is keeping mute. Should the matter be just left like that? Certainly, not. The House of Representatives should act to defend its integrity. The House should take a step further by outlawing the vexatious, illegal and controversial post-UTME in order to restore sanity in the system.